Parking: (There is NO safe parking on the A51.) 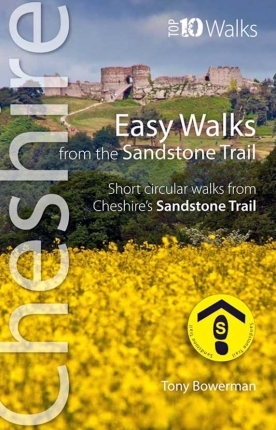 To join the Trail here, park in the free car park behind the Rising Sun in Tarporley, and then follow the footpaths across the fields, cross the bypass, and join the Sandstone Trail at Back Lanes. 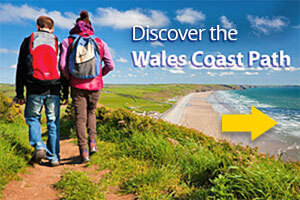 Outline: Lovely green lane, deserted village, marl pits, lost medieval road, River Gowy, Shropshire Union Canal, Beeston Castle, saline spa, ‘Peckforton Cyclone’, Peckforton Castle, woodland tracks, hilltop inn. 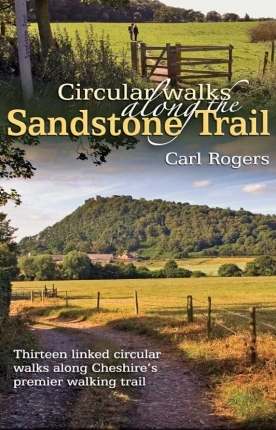 Beyond Tarporley, the Sandstone Trail runs through the green tunnel of the ancient Back Lanes before dropping down to cross the Shropshire Union canal at Wharton’s Lock. It’s a picturesque spot with its white-painted canal bridge, locks and close-up view of mighty Beeston Crag ahead. Across the tiny River Gowy, the Trail skirts below the stunning bulk of Beeston Crag, surmounted by its ruined medieval castle. 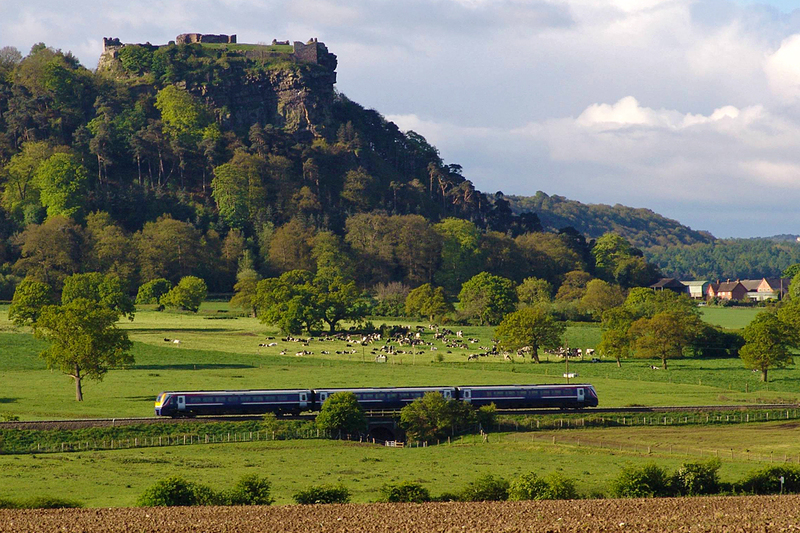 Known as the ‘Castle of the Rock’, Beeston Castle is one of the wonders of Cheshire and enjoys probably the best views from the summit of any castle in England. Recent excavations suggest the hilltop was an important place throughout prehistory; and the outer bailey’s medieval curtain wall overlies a late Bronze Age and Iron Age rampart and defended gateway. 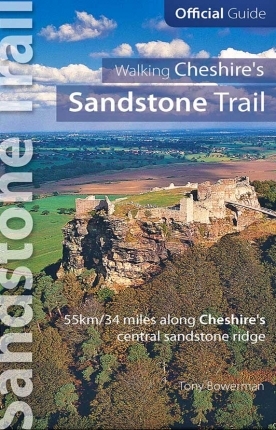 Beyond Beeston Castle, the Sandstone Trail crosses open farmland before ascending the eastern flanks of the wooded Peckforton Hills. High above is magnificent Peckforton Castle, an authentic Victorian replica of a medieval castle that is now a luxurious hotel and restaurant. The Trail traverses the oak clad hills before climbing briefly to the superb Pheasant Inn at Higher Burwardsley with its en-suite accommodation, lovely food, real ales, beer garden and sunlit terrace overlooking the distant Welsh hills. Ahead lies wooded Bulkeley Hill, Rawhead, and Bickerton Hill, topped by the Iron Age Hillfort of Maiden Castle.